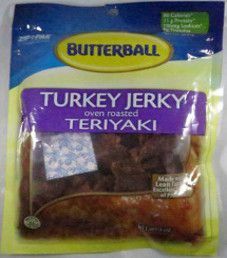 The next review on Butterball turkey jerky will be on a 3 ounce/85 gram bag of their oven roasted teriyaki flavor. This bag of jerky was purchased at a ShopRite store in Greenwich, New Jersey, in December 2013. 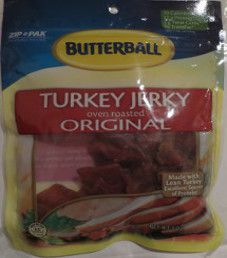 In 2013, while looking for jerky at a ShopRite store in Greenwich, New Jersey, much to my surprise I found this 3 ounce/85 gram bag of Butterball turkey jerky. 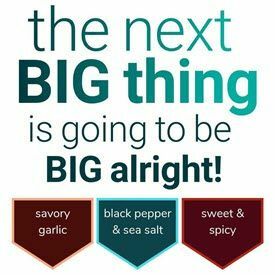 This review will focus on their oven roasted original flavor.